From my college graduation in 1979 until the end of October in 1980, I was on an adventure that set the stage for my adult life. My new book is called Stand By, Camera One- Love, Friendship, and Local TV News in 1980. It’s the true story of my first job as a television news reporter for a station in Binghamton, New York. 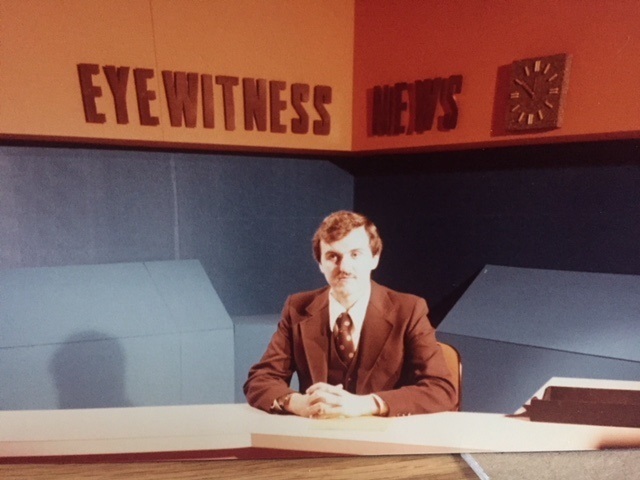 I walked into the lobby of WICZ-TV, channel forty, shortly before noon on May 21, 1979. I told the receptionist who I was and she called the newsroom. Two minutes later, Mark Williams greeted me. We walked through the studio and made our way to the small newsroom. From there, Mark turned up the sound of a twelve-inch black and white television set that rested on top of a four-drawer filing cabinet. The noon newscast from competitor WBNG-TV channel twelve was just coming on the air. Mark watched the first segment of the newscast with a pen and pad in his hands to jot down any story subjects that he felt might be worth following up on for that night’s six o’clock news. I had seen this newsroom before during my job interview. It had three large metal desks with chairs, a four-by-six foot work table, the four-drawer filing cabinet, and a small typewriter stand behind the news director’s desk. A police scanner was picking up calls on the various radio frequencies tuned into the device. Each desk had a Smith-Corona electric typewriter. Some of my classmates in college had similar models. The typewriter’s had removable cartridges for typewriter ribbon. The news director’s desk sat at the far end of the newsroom. My desk would be in the middle. The last desk was for the part time reporter who was covering news in the morning. It would eventually become the desk for the next full time person hired to work in the news department. Missing from what looked like an ordinary television newsroom in the late 1970s small market station was the presence of a teletype machine. The news budget was so small at WICZ, the station did not subscribe to a wire service like Associated Press or United Press International. The “tick-tick” sound of a press wire was common in most broadcast stations. That would not be the case here. WICZ programmed a half-hour of local news Monday-Friday at six and eleven PM. The station also did two five-minute newscasts that ran during the local breaks of NBC’s Today Show at 7:25 and 8:25 AM. While we did not talk about it either in my job interview or even now on my first day, the station hoped to program news seven-days a week sometime in the future. At about ten minutes after twelve o’clock, Mark turned the television set volume down, grabbed his keys, and tested the beeper attached to the side of his belt. We headed to a nice restaurant in the Vestal Plaza and enjoyed a buffet lunch. When he hired me, Mark said to plan on lunch with him on the first day. I spent the rest of the afternoon meeting the staff at channel forty. I was shown my desk and given what amounted to an employee orientation. Mark reviewed the union contract. My job was classified as an announcer in the union contract between WICZ-TV and the National Association of Broadcast Engineers and Technicians (NABET). I would eventually get my union card. It was my second card as I had to join a meat-cutters union for a part-time grocery store job I held when I was going to college. It came as no surprise that I would be going on the air that night. Orientation was nice, but baptism by fire was the only way to learn in a small market television station. From my desk in the newsroom, I started preparing a three-minute sports report. With all the journalism training I had at Herkimer College and Syracuse University, I never did anything in the sports reporting arena. This was the local news business, and we were ready to jump in and go to work. There’s a recording in my personal archives of my first broadcast on local television. Mark Williams anchored the station’s newscast as well as served as news director. He introduced me to the viewers. I thanked Mark, and began to read a short sports report and an even shorter weather forecast. Behind the studio wall, the newscast director, Rich Krolak was working the six o’clock newscast. The director controls all the video and audio components that go into a television production. He or she calls for a specific camera shot, a particular source of audio to be opened, or a video tape to be played. In bigger markets, the director would work with a technical director who would run the video switcher that allows takes from one camera to another. 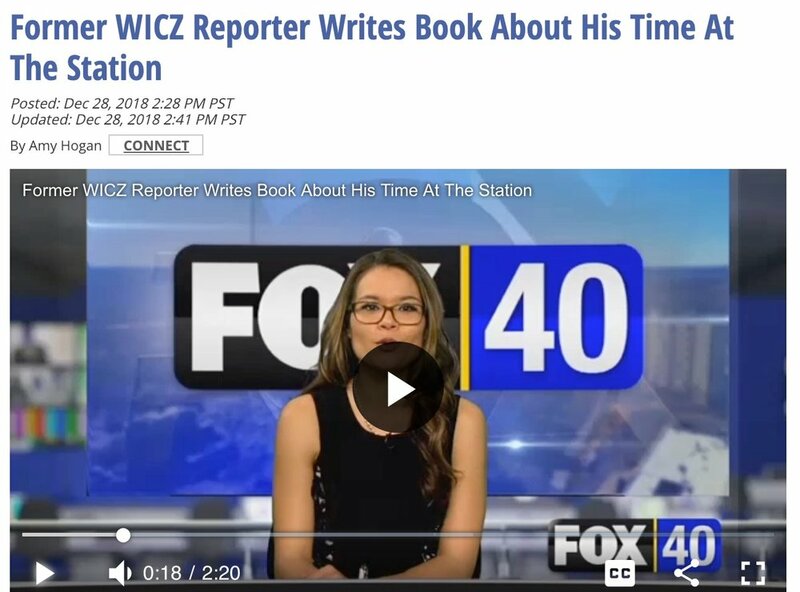 Click here to see Steve’s old TV station do a story about his book.